Kelbros Inc. has been in the precision turning business for over 45 years. 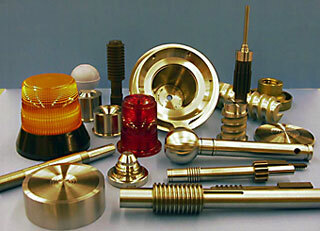 Located in Fond du Lac, Wisconsin, we are home to journeyman CNC lathe operators, each highly skilled in moldmaking. These skills allow Kelbros Inc. to assure precise, interchangeable components to our customers. We take pride in our niche and stand behind all of our work. We know turning so you don’t have to! Our specialties include turning and thread-grinding for Plastic, Rubber and Glass Molds, Die Cast Dies, Food-Packaging, Marine, and Music Industries. We also have 3-D and 4th-axis milling capabilities. Internal quality control procedures, CAD/CAM, CNC machines, and coordinate measuring equipment are utilized to ensure the highest quality product.